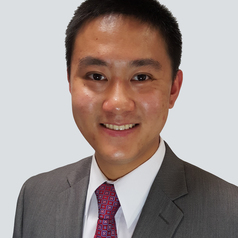 Yale Wong is Doctoral Candidate and Research Analyst at the Institute of Transport and Logistics Studies (ITLS): Australian Key Centre in Transport Management at the University of Sydney Business School. Yale’s research focus encompasses three core areas in future mobility, transport contracts and bus operations. As part of doctoral research sponsored by Busways Group, and supervised by Professors David Hensher and Corinne Mulley, Yale is market testing the mobility as a service (MaaS) proposition with the aim to understand what the community demands and businesses are willing to provide. He won the David Willis prize (2018) for pioneering work using stated choice methods to identify the structure of broker/aggregator mobility contracts. Presently, Yale is working with colleagues to implement MaaS field trials with ITLS partners in Greater Sydney. In the contracts and operations space, Yale has been involved with the International Conferences on Competition and Ownership in Land Passenger Transport (the Thredbo series), and is regularly called upon by the bus industry to look to the future of bus (and multimodal mobility) contracts in an era of disruption and change. Yale has undertaken a number of advisory projects, with clients ranging from bus operators to industry bodies, vehicle suppliers and local government. Yale has conducted study visits funded by the Volvo Research and Educational Foundations (VREF), and been an invited speaker at almost 50 seminars and conferences in 10 countries. He is a guest lecturer at ITLS, serves on the ITLS Board of Advice, peer reviewer for prestigious journals and offers regular media commentary. Yale previously worked in bus operations with experience in network planning and service development.